Below you fill find all funeral homes and cemeteries in or near Denver. Popular neighborhoods in Denver include: Alamo Placita, Denver, Athmar Park, Auraria, Baker, Denver, Berkeley, Capitol Hill, Cheesman Park, Cherry Creek, Denver, City Park, Civic Center, Five Points, Denver, Golden Triangle, Denver, Highland, Denver, Jefferson Park, Denver, Lincoln Park, LoDo, Denver, Lowry, Montbello, Denver, Montclair, and Park Hill. In January of 2000, Pat and Christine Tabor opened Tabor Funeral Home because they strongly felt it was time for the community to have a locally and family owned funeral and cremation service to work with. Suburbs of Denver: Wheat Ridge, Federal Heights, Centennial, Federal Hgts, North Glenn, Adams City, Af Acctg & Finance Ctr, Af Reserve Pers Ctr, Affiliated Banks Service Co, Bank Americard, Blue Cross Blue Shield of CO, Bow Mar, Brighton, Broomfield, Colorado D M V Dept of Rev, Colorado Dept of Revenue, Columbine Valley, Columbine Vly, Commerce City, Denver Federal Center, East Lake, Eastlake, Edgewater, Englewood, Federal Bldg/Us Courthouse, Fort Logan, Ft Logan, Glendale, Grants Ranch, Irondale, Lakeside, Lowry, Montbello, Montclair, National Farmers Union, Small Business Adm, U S West Communications, Univ of Colorado Med Ctr, University of Denver, Us Bank, Us Court of Appeals 10th Cir, Welby, Western Area. Denver is also known as: Denver County and Denver County / Denver city. Their current mayor is Mayor Michael Hancock. Zip codes in the city: 80002, 80012, 80014, 80022, 80023, 80030, 80031, 80033, 80123, 80127, 80201, 80202, 80203, 80204, 80205, 80206, 80207, 80208, 80209, 80210, 80211, 80212, 80214, 80215, 80216, 80217, 80218, 80219, 80220, 80221, 80222, 80223, 80224, 80225, 80226, 80227, 80228, 80229, 80230, 80231, 80232, 80233, 80234, 80235, 80236, 80237, 80238, 80239, 80241, 80243, 80244, 80246, 80247, 80248, 80249, 80250, 80251, 80252, 80256, 80257, 80259, 80260, 80261, 80262, 80263, 80264, 80265, 80266, 80271, 80273, 80274, 80279, 80280, 80281, 80290, 80291, 80293, 80294, 80295, 80299. Denver County funeral flowers can be purchased from one of the local funeral shops we partner with. Denver has been featured in films like: Sicko (2007), Imagine That (2009), The Audacity of Democracy (2009), and Larger than Life (1996). Some of the notable people born here have been: Joseph C. Phillips (actor), Joseph Castanon (actor), Joel Geist (actor), AnnaSophia Robb (actor and singer), Tim Allen (comedian and actor), Karl Rove (commentator and political writer), and David Fincher (film director and film producer). Denver is home to the following sports teams: Colorado Rockies, Denver Broncos, and Denver Nuggets. The City and County of Denver (/ˈdɛnvər/; Arapaho: Niinéniiniicíihéhe') is the capital and most populous municipality of the U.S. state of Colorado. As of 2014, Denver is also the most populous county in Colorado. Denver is located in the South Platte River Valley on the western edge of the High Plains just east of the Front Range of the Rocky Mountains. The Denver downtown district is located immediately east of the confluence of Cherry Creek with the South Platte River, approximately 12 mi (19 km) east of the foothills of the Rocky Mountains. Denver is nicknamed the Mile-High City because its official elevation is exactly one mile (5,280 ft or 1,610 m) above sea level, making it one of the highest major cities in the United States. The 105th meridian west of Greenwich, the longitudinal reference for the Mountain Time Zone, passes directly through Denver Union Station.Denver is ranked as a Beta- world city by the Globalization and World Cities Research Network. 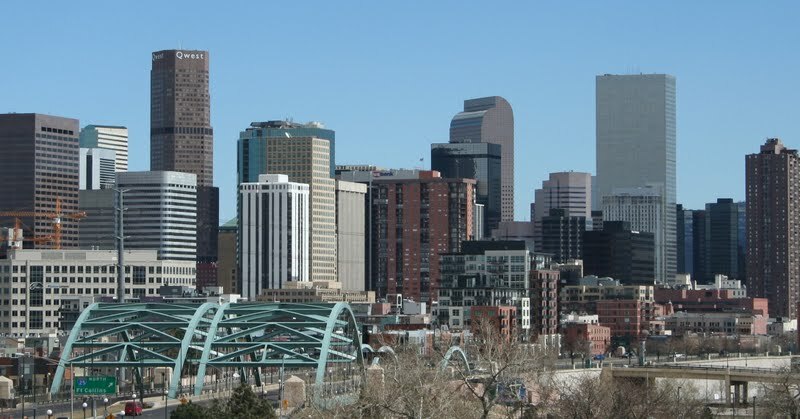 With a 2014 estimated population of 663,862, Denver ranks as the 21st-most populous U.S. city. The 10-county Denver-Aurora-Lakewood, CO Metropolitan Statistical Area had an estimated 2013 population of 2,697,476 and ranked as the 21st most populous U.S. metropolitan statistical area. The 12-city Denver-Aurora, CO Combined Statistical Area had an estimated 2013 population of 3,277,309, which ranks as the 16th most populous U.S. metropolitan area. Denver is the most populous city of the Front Range Urban Corridor, an oblong urban region stretching across two states with population of 5,467,633 in 2010. 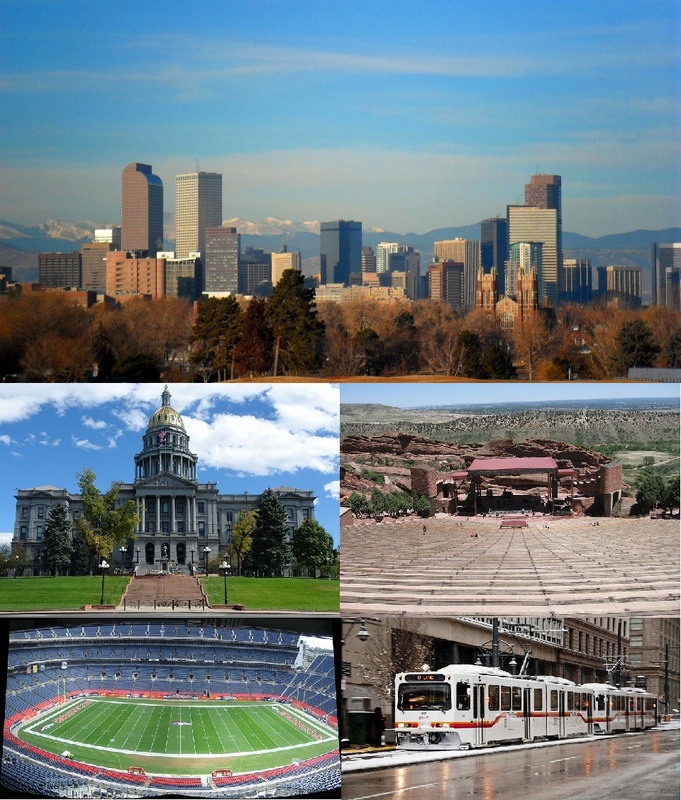 Denver is the most populous city within a 500-mile (800 km) radius and the most populous city in the Mountain West and the third-most populous city in the Southwestern United States after Phoenix, Arizona and El Paso, Texas. Its metropolitan population is the second-largest in the Southwest after that of Phoenix. It was written on March 29th, 2019 that Dirk M Bedarff passed away in Denver, Colorado. Bedarff was 58 years old and was born in Dusseldorf, . Send flowers to share your condolences and honor Dirk M's life. It was noted by Topeka Capital-Journal on March 27th, 2019 that Dianne Lynn Schwartz (Zoglo) passed away in Lawrence, Kansas. Ms. Schwartz was 70 years old and was born in Denver, CO. Send flowers to express your sympathy and honor Dianne Lynn's life. It was disclosed by Ellensburg Daily Record on March 27th, 2019 that Terry T Woodrow (Rohr) perished in Seattle, Washington. Ms. Woodrow was 69 years old and was born in Denver, CO. Send flowers to express your sympathy and honor Terry T's life. It was disclosed on March 26th, 2019 that Troy E Casares passed on in Denver, Colorado. Casares was 55 years old and was born in Grand Island, NE. Send flowers to express your sympathy and honor Troy E's life. It was noted on March 23rd, 2019 that Cranson Doyle Boothroy perished in Krasang, Thailand. Boothroy was 62 years old and was born in Denver, CO. Send flowers to share your condolences and honor Cranson Doyle's life. It was written by Kearney Hub on March 23rd, 2019 that Dana Jefferson Waldron died in Omaha, Nebraska. Waldron was 49 years old and was born in Denver, CO. Send flowers to express your sorrow and honor Dana Jefferson's life. It was revealed by Beatrice Daily Sun on March 19th, 2019 that George William Oakes died in Nebraska. Oakes was 47 years old and was born in Denver, CO. Send flowers to share your condolences and honor George William's life. It was revealed by Napa Valley Register on March 14th, 2019 that Harrison Russell III Burr passed away in Napa, California. Burr was 73 years old and was born in Denver, CO. Send flowers to share your condolences and honor Harrison Russell III's life. It was noted on March 13th, 2019 that Chad Michael Wilcox perished in Denver, Colorado. Wilcox was 49 years old and was born in Sioux Falls, SD. Send flowers to express your sorrow and honor Chad Michael's life. It was revealed on March 6th, 2019 that Kenneth Wayne Crowe passed away in Denver, Colorado. Crowe was 67 years old and was born in Hutchinson, KS. Send flowers to express your sorrow and honor Kenneth Wayne's life. Attending a funeral services can sometimes be difficult, but iMortuary can help you send funeral flowers to the Denver funeral home you need. With all of the choices in funeral homes, make sure you are confident with your choice with Denver funeral planning services. Browse our listings for Denver funeral homes, cemeteries, cremation providers and funeral parlors made easy. You can even search from hundreds of funeral homes throughout Colorado or limit your search to Denver alone. 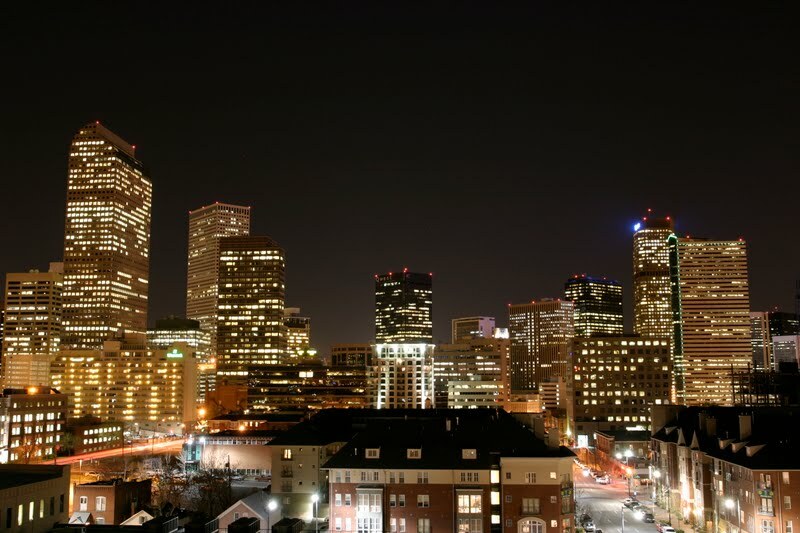 The Mile High City, Denver, Colorado is located on the western edge of the High Plains of the Rocky Mountains. With an elevation of exactly one mile, the city earns its nickname among the mountain west. Halfway between the west and Midwest, Denver is a storage and transport distribution hub for many goods traveling cross country. Well placed for former US space and defense operations, including nuclear weapons plant base, Rocky Flats, the mountainous region is ideal for hiding and launching rockets. It's central location also allows for easy communication between both coasts between timezones. The official website for the city of Denver is http://www.denvergov.org/content/denvergov/en.html. Listing all funeral homes in Denver, Colorado so you can easily send flowers to any location (same day delivery) or find any funeral service. Funeral Home Denver, CO ( Colorado ) | Funerals Mexico, Inc.
Funerals Mexico, Inc. offers professional mortuary services to the Denver, CO area. Call 303-389-9036 for an emergency mortuary service. Find a Denver & Boulder Funeral Homes company that you can trust! View the Better Business Bureau list of accredited businesses in hundreds of local business categories. We work with local florists and flower shops to offer same day delivery. You will find budget sympathy flowers in Denver here. Our funeral flowers are cheap in price but not in value.